There were three distinguishable aspects of Walter's sculpture that I took with me after visiting The New York Earth Room. 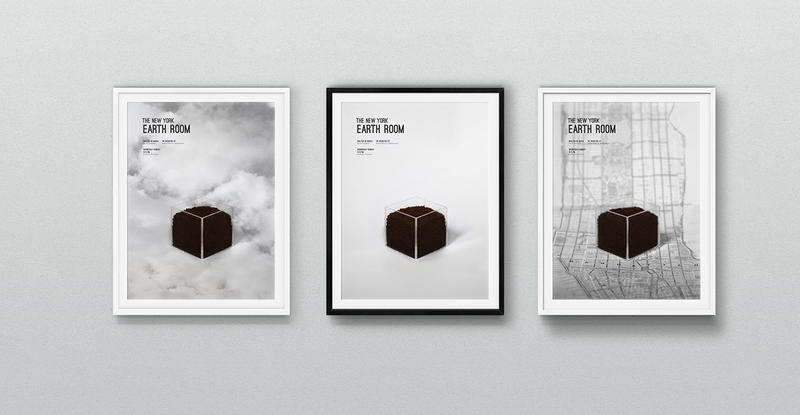 The placement, contrast, and location of the piece inspired the series of three posters. The placement of the 280,000 pounds of dirt is recognizable due to the fact that it is installed on the second floor. Clouds are chosen as the landscape to complement the strange and unexpected fact that the soil is not planted on the ground. The contrast in color and sound inspired the second poster. 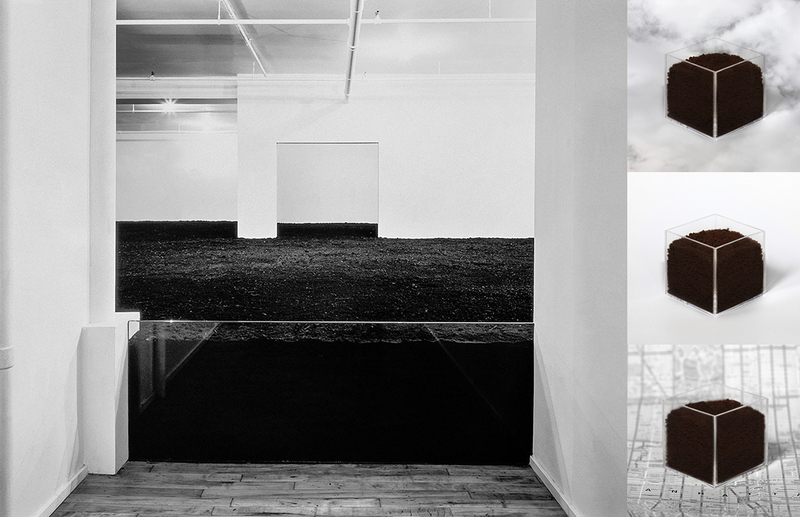 The minimalism of the artwork emphasizes the strong color contrast between the dark, almost black dirt against the bright, white walls. The peacefulness and stillness that is sensed while viewing the sculpture contradicts the busyness and loudness of New York City. 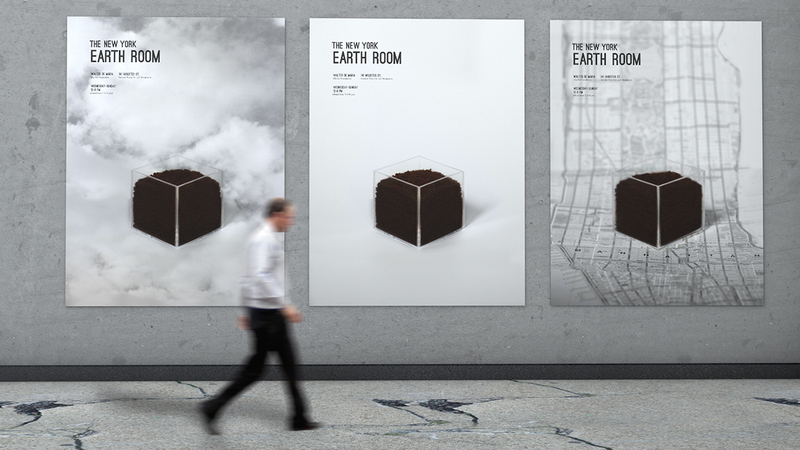 The third poster explores the concept that soil almost becomes a rare commodity in the concrete jungle. The 280,000 pounds of dirt installed in an apartment building feels out of place in the densely built city. 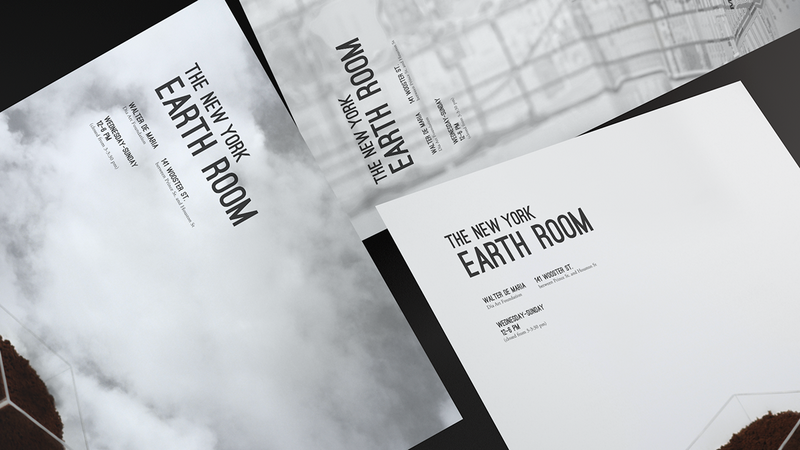 All three photographically driven posters convey the experience felt when viewing The New York Earth Room.